Ohio arson and aggravated arson charges are among the most serious offenses you can be convicted of in Ohio. If convicted, you stand to face a lengthy prison term and substantial fines, not to mention that you will now have a criminal record that can seriously hamper your future employment prospects. Secure the services of a competent criminal attorney to defend your freedom your future. Call Attorney Adam Burke today for your free consultation at (614) 280-9122. “Arsonist” is the label given to a person who sets fire to something. Cause physical harm, or create a substantial risk of physical harm, to any property without the owner’s consent. Cause physical harm, or create a substantial risk of physical harm, to your (the offender’s) property or another person’s property with intent to defraud. Cause physical harm (or create risk of) to a government-owned property, like a courthouse, police station or a school building. Aggravated arson is similar to arson, except that either the property that was set on fire was occupied, or the arson caused, or created a substantial risk of physical harm to a person other than the offender. For 4th degree or 3rd degree felony arson, the penalty is 6 months to 5 years in jail, with fines of up to $10,000. For a 2nd degree or 1st degree aggravated felony arson, the penalty is 2 to10 years in prison, with fines of up to $20,000. Arson is a serious offense. There are severe penalties involved, including lengthy prison time and substantial fines. It is important to understand your options and have an experienced attorney fight for your rights. 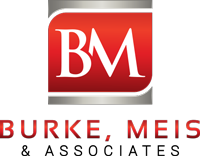 Contact Attorney Adam Burke of Burke, Meis & Associates today for your free consultation (614) 280-9122.